As exotic, remote destinations become more easily accessible, Australian tourists are beginning to hunt for something weird, wacky and wonderful to make their holiday a trip to remember writes Alice Murphy for Daily Mail Australia. A growing number of quirky hotels are answering the call, offering weird and wonderful experiences ranging from a night in an African Savannah inspired villa to a sojourn in 'Australia's weirdest bed and breakfast' and sleeping on the roof of a Melbourne car park in a vintage Airstream trailer. 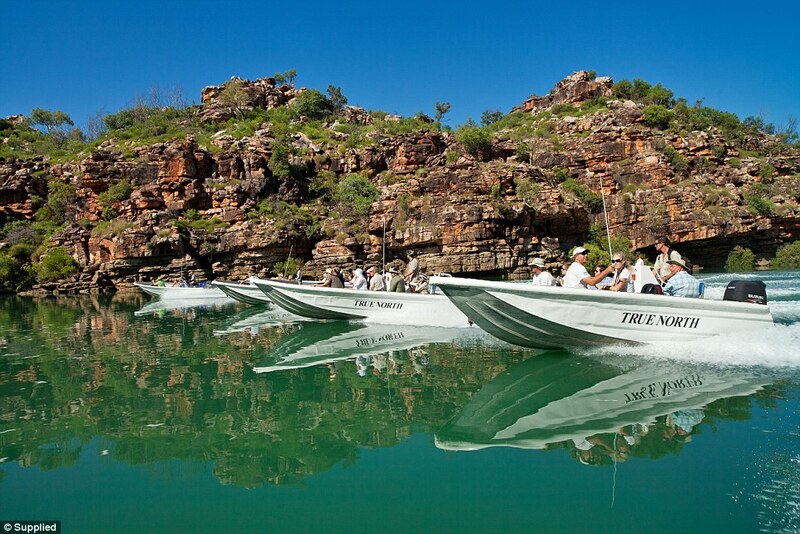 True North Adventure Cruises is included in Alice's top 8 most unique accommodations in Australia. A trip to the African Savannah usually involves an almost 24 hour one way trip for Australians, but thanks to Zoofari at Taronga Western Plains, animal enthusiasts can soak up the stunning surrounds of the Serengeti just five hours drive from Sydney's CBD. Discreetly hidden from public areas, Zoofari comprises fifteen African-style tents adjacent to a restaurant, bar, library and salt water swimming pool. Complete with king size beds and luxurious double baths, the private decks of the Animal View properties offer unrivalled scenes of giraffe, zebra, ostrich, buffalo and eland roaming the land. 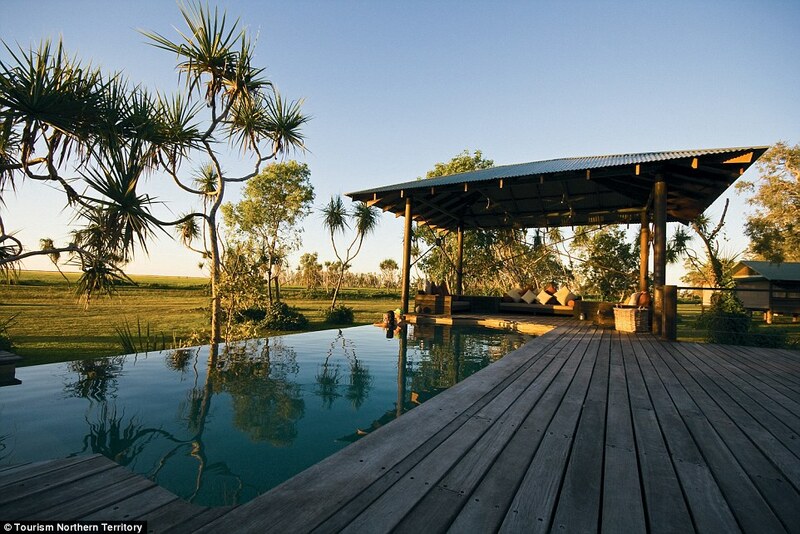 Low season mid-week rates start at $339 per person for the Bushland Lodge and $379 for the Animal View accommodation. The Zoofari experience includes two exclusive behind-the-scenes safari truck tours, providing a magical opportunity to get up close and personal with some of the world's most endangered and exotic species. And with much cultural, historical and water-based activities to enjoy in the neighbouring holiday town of Dubbo, a short stay at Zoofari could be the perfect start to a romantic break or fun-filled family getaway. A former hydroelectric plant, this much loved industrial relic turned boutique accommodation has been attracting visitors to Tasmania's Wilderness World Heritage Area since opening in January 2015. A middle floor room in the Pumphouse building costs $495 per night, with 'just the right elevation to provide the unique feeling of floating on water'. Very little change has been made to the exterior, with the buildings standing in their weathered glory as they have for over 70 years. The interior decor is a blend of simple excellence and comfort, with no apology for the buildings’ origins as a pumphouse. With floor-to-ceiling windows overlooking the lake, the property gives you an authentic experience of nature at its' most wild, but the hotel said the opportunity to reflect, rejuvenate, explore, adventure and interact is what makes a stay at the Pumphouse so special. The Retreat, a luxurious offshoot of Pumphouse, was opened in November 2017 and sits hidden on the lake's edge in a shroud of native bush. Guests can enjoy this additional opulence for $1,275 per night. 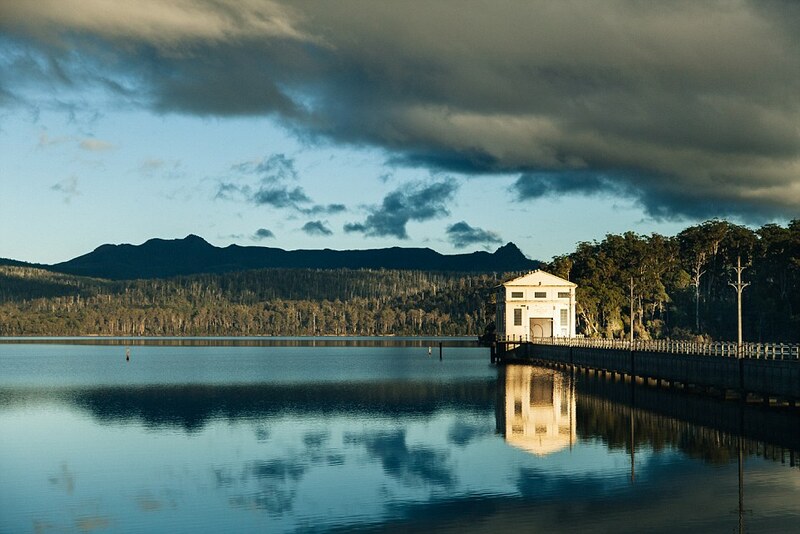 Pumphouse Point was awarded Gold in the Unique Accommodation category in the Tasmanian Tourism Awards for 2016 and 2017. A cargo plane may not seem like the obvious choice of accommodation, but the Dakota in Stirling, WA, is no ordinary aircraft. Made in Long Beach California in 1944, the Dakota started life as a Dutch military supply plane before being sold to KLM as a commercial airline and eventually refurbished by Dutch couple Pleun and Hennie Hitzert. A stay on board the Dakota costs $249 a night for two people, with two single beds, air conditioning, fully-equipped kitchen and a covered outside seating area which provides 'spectacular and uninterrupted views of the Stirling Range'. In her prime, the Dakota was a technological marvel and is still one of the most iconic and successful planes ever built. The aircraft was used by KLM until January 1974 when when she made an emergency belly landing in Broome, Western Australia, which is where the Dakota called home until arriving at the Hitzerts' in 2012. With no social media platforms, this unique accommodation relies on word of mouth and TripAdvisor - and it appears to be paying off, as the Dakota has a five star rating from guests on the travel advisory platform. The property boasts its own airfield, making it 'the perfect base to explore the region with your aircraft' (if you're lucky enough to own one!). Guests can also purchase bags of Dutch spelt flour which are ground on site at the Lily windmill. Positioned on the roof of a nondescript car park, Notel prides itself on being 'like no hotel you've ever been to' thanks to the off-the-wall nature of its' rooms - six 31-foot Airstream trailers. Like clandestine speakeasy's of the prohibition era, Notel is tucked away from view while sitting right in the thick of things, perched just above Melbourne's famous Flinders Lane. With Airstreams starting at $395 a night, the venue take bookings up to six months in advance to accommodate the volume of interest. 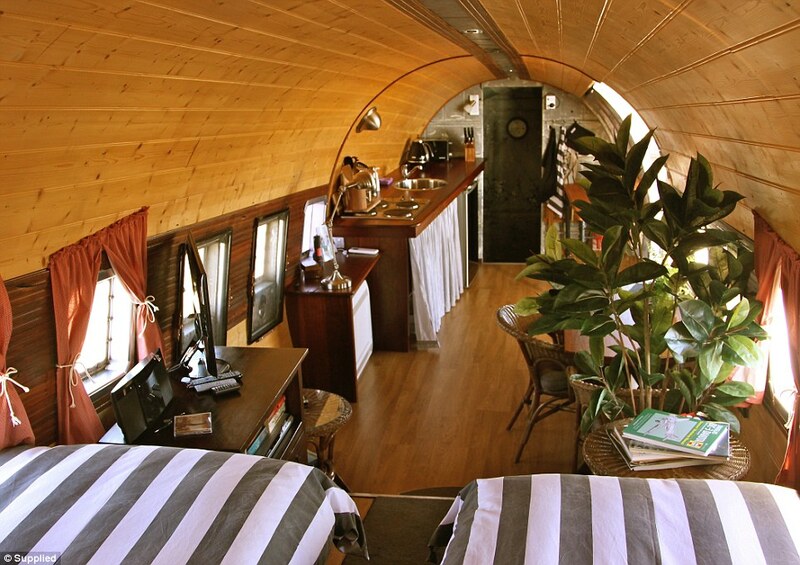 Business is sure to be booming for the alternative accommodation after Kourtney Kardashian and boyfriend Younes Bendjima took a trip to a vintage Airstream in Malibu, California for the mother-of-three's 39th birthday in April. For travellers in search of something extra, Notel also boasts one deluxe room christened the 'airstream with benefits' providing guests with a private sapphire spa and a view of the Flinders thoroughfare. Better move quickly though, as the deluxe trailer is almost fully booked out until November 2018. 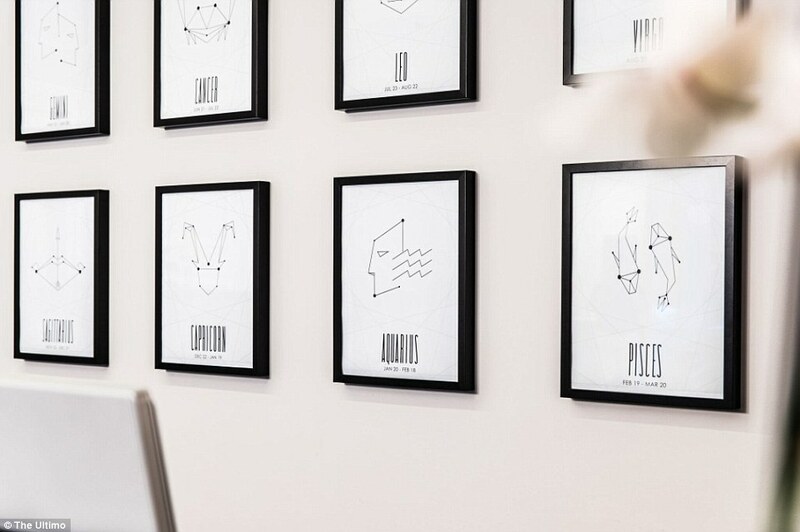 Located in Sydney's Chinatown district beside iconic Darling Harbour, the four-star Ultimo hotel offers experiences 'to make you feel aligned to your astrological sign'. 'All of our guests are asked their star sign on check in,' General Manager Scott Hartley said. A weekend stay at the Ultimo costs $179 per night for a two person queen size room, available directly from the hotel's website. The Ultimo also offers three astrology packages at check in, including Natal Chart interpretation, a solar writing and a 'getting to know yourself' package all run by Australian astrologer Pia Lehmann. If astrology isn't enough for you, the venue is also pet friendly - you can opt for one of the courtyard rooms which welcome pets 'from pups to pussycats'. The Ultimo is ranked 46 of 188 hotels in Sydney by TripAdvisor, with guests rating its central location, facilitating staff and decor particularly well. Designed for the 'discerning traveller' in search of unusual, remote destinations, the True North cruise liner is purpose-built to go where other ships cannot. Featuring the ultimate in comfort and style, True North's spacious cabins offer modern decor, en-suites and satellite telephones. Other features include a lavish sun deck, an internet cafe, indoor and outdoor bars and two plasma screen televisions. Daily activities include snorkelling, diving, fishing, hiking, natural history, culture and most itineraries also include a ship’s helicopter. The seven night Kimberley Snapshot tour is one of True North's most popular offerings, according to Brand Director Peter Trembath. An 'Ocean Class' cabin on the Kimberley Snapshot costs $14,595 per person, inclusive of all meals and activities except alcohol and use of the ship's helicopter. A cabin in the 'Explorer Class' can cost up to $19,995 for seven nights. Other itineraries in the True North series include the intriguing Abrolhos Islands, world-famous Ningaloo Reef, the dragons of Komodo, mysterious Bougainville, the unspoiled authenticity of Papua New Guinea beautiful Sydney Harbour and a seafood safari around the Eyre Peninsula. Guest numbers are limited to 36 and the vessel has a revered reputation for on-board dining. According to Luxury Lodges of Australia, a True North cruise has long been regarded as one of Australia’s outstanding and most revered adventure tourism experiences. Sir Peter Derham, former Chairman of See Australia, called the cruise 'the most fantastic trip I have ever experienced!'. Described as the ideal destination for travellers in search of something 'daring and different', the Mira Mira Retreatcombines comfort and complete indulgenwith fantasy escapism. Surrounded by bush land just 90 minutes drive from bustling Melbourne, the property includes three self contained two-bedroom fantasy cottages where guests have the opportunity to 'Live in Art' in a tranquil, relaxed setting. 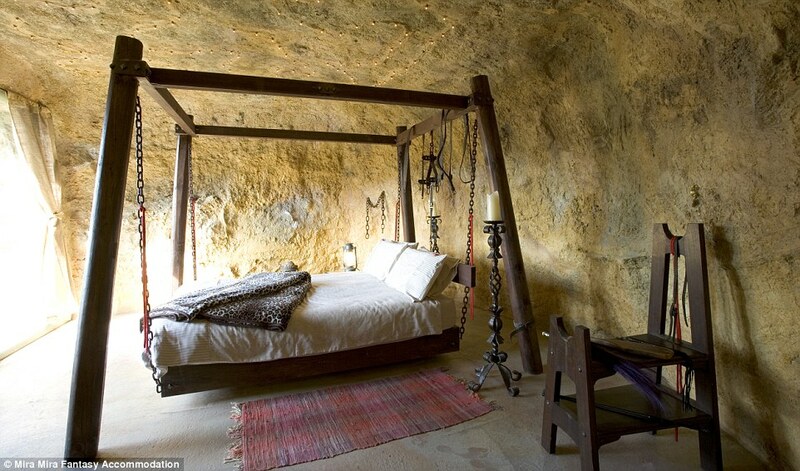 With a two-night weekend stay costing $500 per couple, guests can choose from the Cave, similar to a set from Lord of the Rings, the Japanese Zen Retreat or Tanglewood, an enchanted nature house inspired by Spanish architect Antoni Gaudi. Guests are greeted by a massive silver sculpture of a dragon above the driveway on arrival. Dubbed 'Australia's weirdest bed and breakfast' by celebrity garden guru Don Burke, Mira Mira has a five star rating from visitors on TripAdvisor who particularly praise the sumptuous breakfast and the alternative experience the accommodation offers. 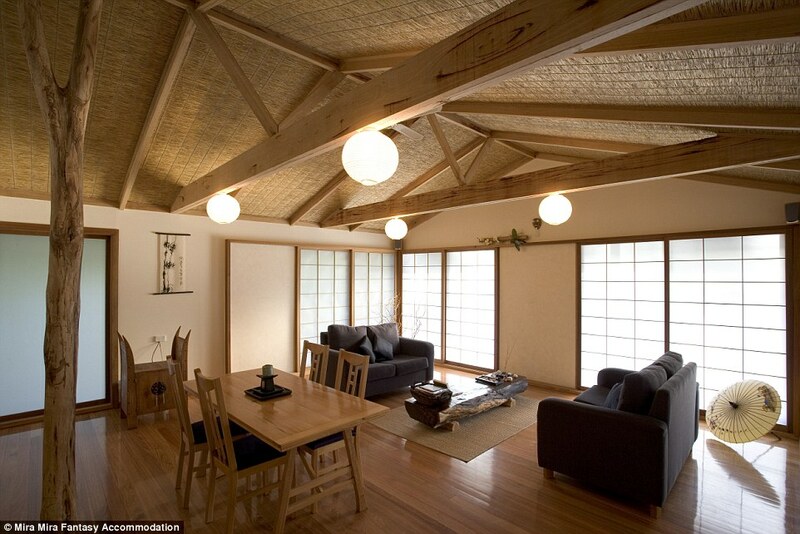 A fan favourite is the Japanese lodge, inspired by the design of a 17th century katsura palace in Kyoto. Located just three hours drive from Darwin, Bamurru Plains is a luxury wilderness experienced with conservation at its core. The exclusive camp was built with minimal impact on the environment, with just ten bungalows and a main lodge constructed on the edge of the floodplains, using woodland for natural cover. From May through October 2018, a night in a safari bungalow at the property costs $1,090 per person with a two-night minimum stay. The package includes access to an eco-friendly ensuite, all meals and beverages from a select open bar and daily guided wilderness activities such as airboat safaris, crocodile spotting river cruises, open-top game drives, wildlife viewing and walking tours. Bamurru describes itself as 'an immersion into a documentary', with approximately 75 per cent of the camp's power being solar generated to allow guests to hear the sounds of the bush at night while keeping carbon footprint minimal. Rooms have floor to ceiling mesh on three sides, exposing guests to the sights and sounds of the surrounding bush. The screen walls allow the coastal breezes to naturally cool the interiors minimising the use of overhead fans. According to the Bamurru media team, products local to the Northern Territory are used whenever possible, all linen is supplied by EcoDownUnder using organic cotton with no chemicals and drinking water is filtered from bore water. Bamurru Plains is also home to one of the largest crocodile populations in the world.